As far as versatile and ubiquitous effects go, an overdrive emulating a pushed tube amp is number one. 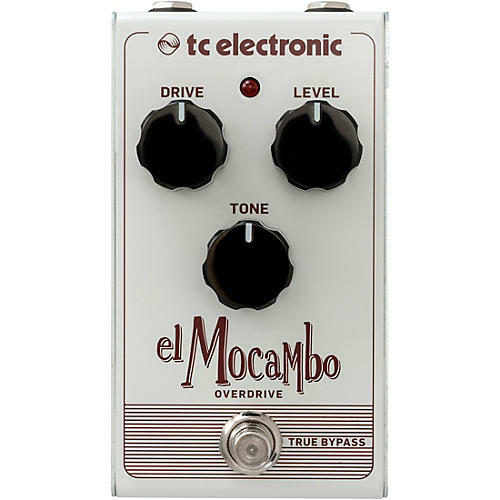 The TC Electronic El Mocambo will fatten up your tone with some extra girth around the waist, giving you that highly sought-after mid-range “oomph” that cuts through the mix when your band is pushing decibels. This particular gritty mid-range honk gives the guitar a certain vocal quality that is ideal for a singing blues solo but also works formidably in a hard rock setting as a lead boost on top of an already overdriven sound. Crank up and testify!